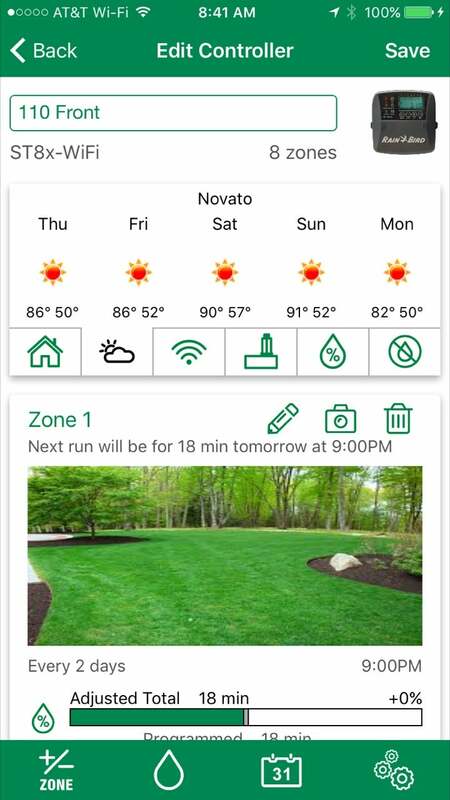 Rain Bird ST8I-WIFI Smart Irrigation Timer/Controller review: A major irrigation player finally goes "smart"
Rain Bird is a venerable company that makes all manner of outdoor watering equipment, from sprinkler heads to valve boxes. It also produces a bevy of controllers, and at the end of 2016, it finally added Wi-Fi connectivity and smart features to its line of timers. The $180 Rain Bird ST8I-WiFi is an eight-zone system designed for internal mounting only. (The ST8O, which is clad in a weatherproof case for outdoor use, costs $229 but is otherwise the same product. Amazon sells the ST81 for about $137, and the ST80 for around $174.) 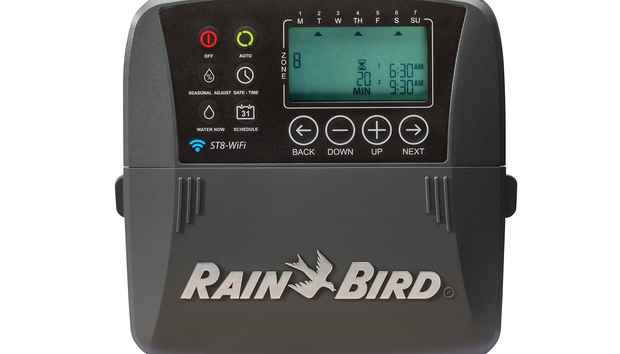 Like all of Rain Bird’s controllers, it features a full collection of controls built into the hardware itself, with an LCD panel and a few simple buttons giving you full power over scheduling and manual watering runs. 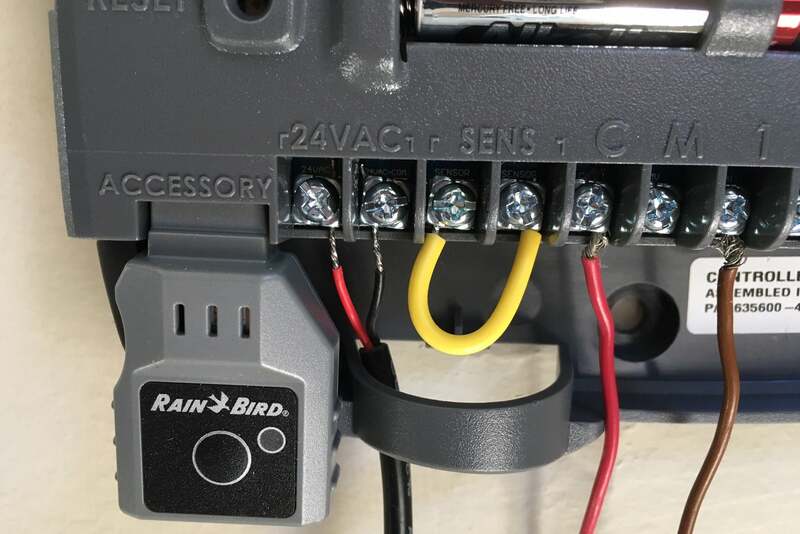 Hardware setup is a bit more complex than most smart sprinkler controllers, in part because the AC adapter doesn’t plug into a socket; it has two bare wire leads that must be screwed onto posts on the ST8I. Similarly, sprinkler leads attach via screw-in connectors. (Mind that you run all your wires through the central porthole, unlike the sloppy job I did in the photo below.) As a bonus: Two AA batteries are included for backup purposes in case the power goes out. From here, app setup is largely in line with competing products. While the process wasn’t overly complex, I did run into a hiccup where the Rain Bird wouldn’t connect to my wireless network. Manually resetting the network (as guided by the app’s help system) fixed the problem and eventually got things up and running, but in a less timely fashion than I’d like. The app isn’t the most responsive, and it took me a few days of using the ST8I to figure out exactly why. Unlike many smart sprinkler controllers, the ST8I’s mobile app serves primarily as a way to manage its onboard controls remotely. Every time you run the app, it has to connect to the ST8I to download the settings stored on the unit. This can be time-consuming (up to 15 seconds each time) if all you want to do is check on the watering schedule or start a manual watering run, and it isn’t the “smartest” use of a mobile app we’ve encountered in this space, though certain settings, like the time, are synced from your phone automatically. Integrated weather reports are handy, but tend to run hotter than reality. As well, the ST8I doesn’t include the typical “smart settings” feature that most products in this space offer. Rather than making a guess about ideal run times based on your environment, it’s up to you to decide how long you want your various zones to run. The ST8I does, however, include a limited seasonal adjustment feature, which will reduce watering if the weather forecast is cooler. This may be handy for some users, but I found the Rain Bird reducing watering times even as the temperature in my neighborhood was soaring to nearly 100 degrees and when watering should have been at its highest. (Note that the integrated weather forecast can take up to a day to show up in the app after initial installation.) The ST8I can be set to skip watering altogether if it’s raining, but only if you have a wired rain sensor installed. The ST8I offers limited reporting and calendaring features, though an app update pushed out during my testing improved this considerably. Previously, the app maxed out by showing just a few days of your upcoming calendar and nothing in the way of historical information. 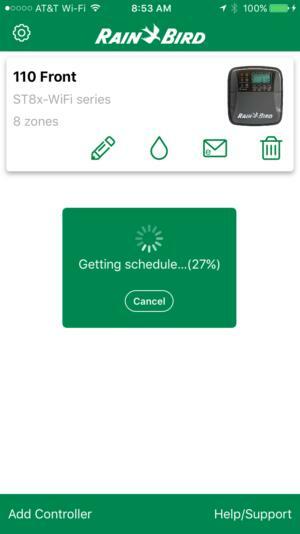 Now, the app features a more full-featured calendar that looks forward 30 days, plus offers one week of historical watering information. History details older than that are deleted. None of that is ideal, but it’s at least an improvement. Each time you launch the Rain Bird app, prepare for a wait…. Also of note, by default the ST8I does not provide any push updates when watering runs occur. This can be changed by delving into the settings menu, where various notifications can be turned on. Turn them all on and the Rain Bird becomes quite chatty—I was soon inundated with notices that seasonal adjustments had been applied (several times each week), and that the Wi-Fi unit attached to the Rain Bird had disconnected and/or reset. With notifications on, the system does accurately notify you that watering has completed (but not, unfortunately, when it starts). Of final note, unlike many smart watering systems, the Rain Bird ST8I app is designed to manage multiple controllers from a single phone. Some irrigation apps are designed to support only one controller at a time, and if your yard requires two controllers, you must use separate accounts (and separate apps on separate mobile devices) to control them. Rain Bird makes managing multiple controllers incredibly easy, although that does mean you’ll spend at least twice as much time waiting for the app to load.